[New]How To Check 9mobile Data Balance - BaseOnTechs - Learn To Do It Yourself. And that's how I recently bought a new 9Mobile (Formally Etisalat) sim card, subscribed to one of their plans and was unable to check my data plan balance said; a friend of mine. After showing her how to check 9Mobile data balance, I decided to share with you all as well. Of course, I know you are unable to check your existing plan balance be it Daily, Weekly or Monthly. And that's why you are here. And Just before we proceed further, let's look into 9Mobile data plans. I think it should be left for you to say if 9mobile data plans are cheap following the above insight. Anyway, for me, I will say their data plan costs are okay coz their network coverage is strong and usually stable. And you must have heard, see or even experience that, cheap things come alongside with poor services. 9mobile network renders good quality service and I believe it is worthwhile. 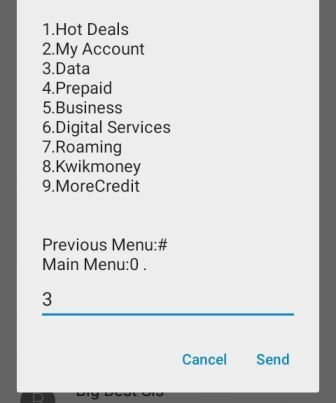 So below is how to easily check data plan balance on 9mobile. Checking 9mobie data plan balance is not a difficult task. In fact, there are several ways to check your data balance on Etisalat (Now 9Mobile) and below are a few. Hope you know what USSD Code is. It is the Unstructured Supplementary Service Data (USSD) and usually referred to as "Quick Code" or "Feature Codes" which is a communication protocol used by GSM cellular telephones to communicate with the mobile network operator's computers. Wikipedia. In short, it is a quick way to communicate with your mobile network operator's computers for a particular service that interests you. And to check your data balance on 9mobile, you will have to dial the below USSD codes. Simply Dial *228# and your data plan balance, alongside expiration details will come up after few seconds of dialing USSD code. We are not done yet. You can also check 9mobile Blackberry Internet Subscription (BIS) Balance by using the below USSD code. Kindly dial *228# and you will receive the full details of your available data plan, bonuses (if there is any) and expiry dates. Don't ask me why it's the same code. 9mobile may have reasons. 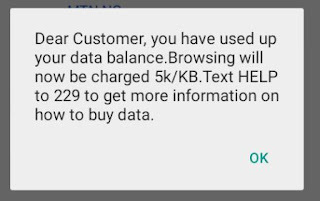 Alternative Method To Check Data Plan Balance On 9Mobile Via USSD Code. There is also an alternative USSD code to check your existing purchased plan. This one is just like going direct to 9mobile customer care and demand for your remaining data balance. Below is the simple code. You will see a pop-up message containing some details about 9mbile. Kind type 3 (data) and send. On the next page, type 2 (check data) and send. Just immediately, you see a new pop-up showing you data balance and other important info. You may as well receive a message from 9mobile after a few seconds after the data request. Anyways I looking up to getting a new 9mobile sim card to join their high-quality network service experience. 2. How To Check 9mobile Data Plan Balance Via SMS. 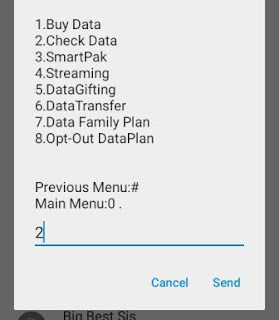 Now, instead of the above USSD code to check data plan, you can also request for your data plan details by simply sending 9mobile a "three (3) letters Message" and your available data balance would be shown to you. Kindly Send BAL to 288 and you will receive a reply from 9mobile containing your full data plan details. 3. 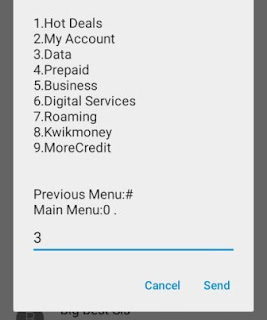 How To Check 9mobile Data Plan Balance Via Call. Surprised? Hmm... You shouldn't be. By calling 9mobile with the below 3digit number, you will be redirected to a 9mobile customer care representative who will tell you the full details of your data plan balance. 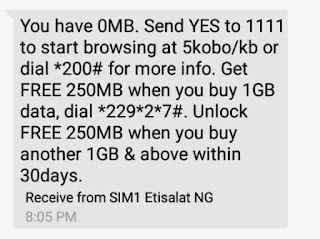 After the call, you will receive a message from 9mobile (formally Etisalat) containing your available data plan just in case you didn't hear clearly what they have said on the line. It might be easy to buy new, affordable data plans but at times, you may forget the code to check your available data balance on 9mobile. So this article is just like a reminder if you ever happen to forget how to check 9mobile data balance. And as you can see the article have covered several ways to check your available balance. Starting from USSD code, SMS, Call and so on. Also, this guide is applicable to Android phone, iOs (iPhone, iPod), Modem (Windows & Mac) Users. Do make sure you Bookmark this page for later use. More Peace And Blessings FAM. I'd like you to share your thoughts on this post using the comment box below. Is it a question, addition or anything at all consigning this post? Will love to hear from you. Is your comment not about this post? Ask in My Private Group. Also, make sure you tick √ the "Notify Me" box, to get notified when I give a reply. Thanks for sharing. Are you looking up to download Filmywap Hollywood movies? There is more to discover about this website. BaseOnTechs.com is tech blog launched to provide Effective tips and tricks for readers. Tricks involves Mobile and PC Tricks, Social Networks Tricks(Facebook, Twitter etc), Network Service Tricks(Browsing Solutions, Cheap/Free Data etc) And Lots More... Make sure you subscribe to our newsletter to always be the first to get latest tricks in your inbox for free.